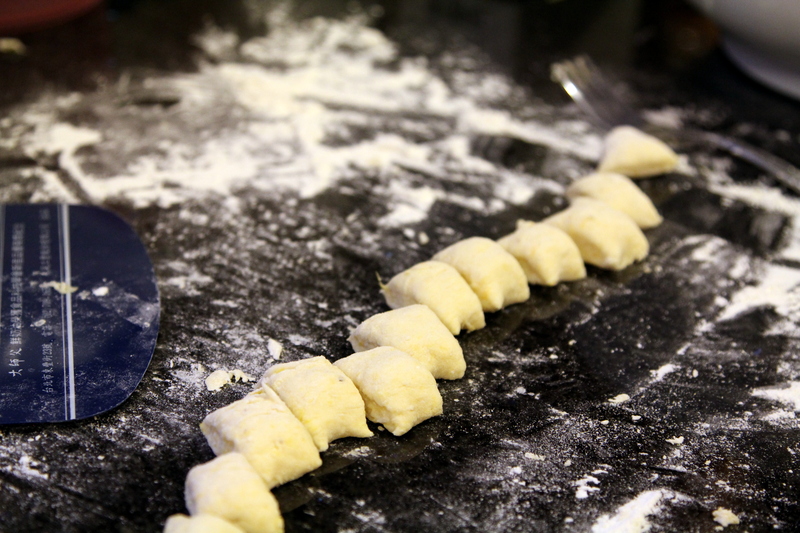 Pumpkin Ricotta Gnocchi [recipe] – Cin Cin, Let's Eat! Last year I attempted to make butternut squash gnocchi and while it turned out a bit tough (too much flour), the subtle flavor of the butternut squash went very well with some browned butter and sage leaves. So when I saw a recipe for pumpkin ricotta gnocchi, I knew I had to try my hands at gnocchi-making again. As you can recall from my previous post on making pumpkin mochi, the batch of the pumpkin puree I had was very watery. I resisted on adding more and more flour to the dough to make it workable, but it was inevitable. But while these little puffs of goodness were not very good looking, they tasted pretty darn good, and much “fluffier” and not as doughy compare to my first attempt. 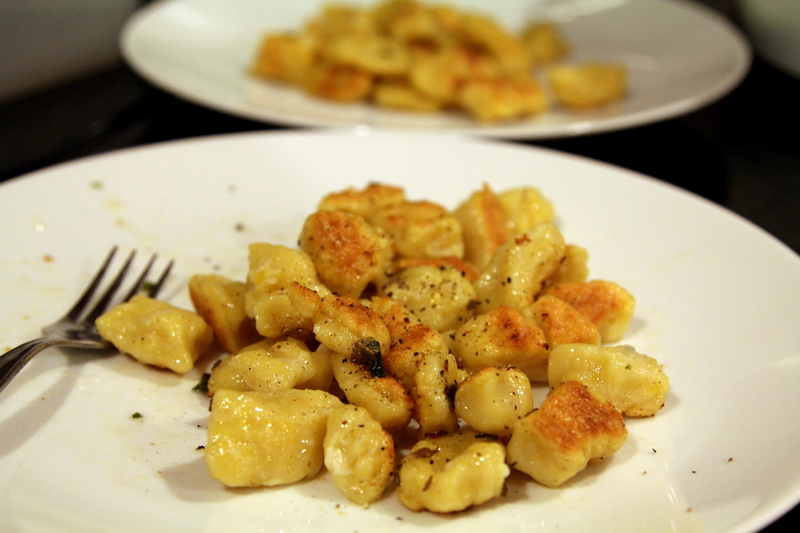 I cooked enough fresh gnocchi for two, and froze the rest for later cravings. Place them in a single layer on a tray (that fits in your freezer), freeze for 2 hours until frozen, then transfer them into a freezer-safe airtight container or a Ziploc bag. This looks amazing. 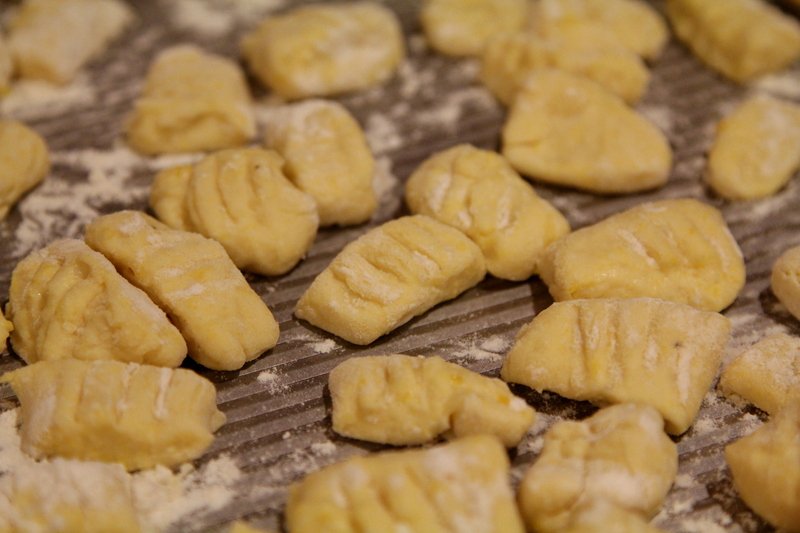 I just tried making gnocchi for the first time and well… I have to try again.